Ten riders left Hart Leisure Centre on a lumpy route to the Tree House Coffee Shop in Four Marks. Two riders left early due to other commitments and eight carried on for the full route. Cakes and bacon sandwiches were good, with plenty of outdoor seating. Total distance 44.7 miles (72km) and an elevation gain of 2657 ft (810m). 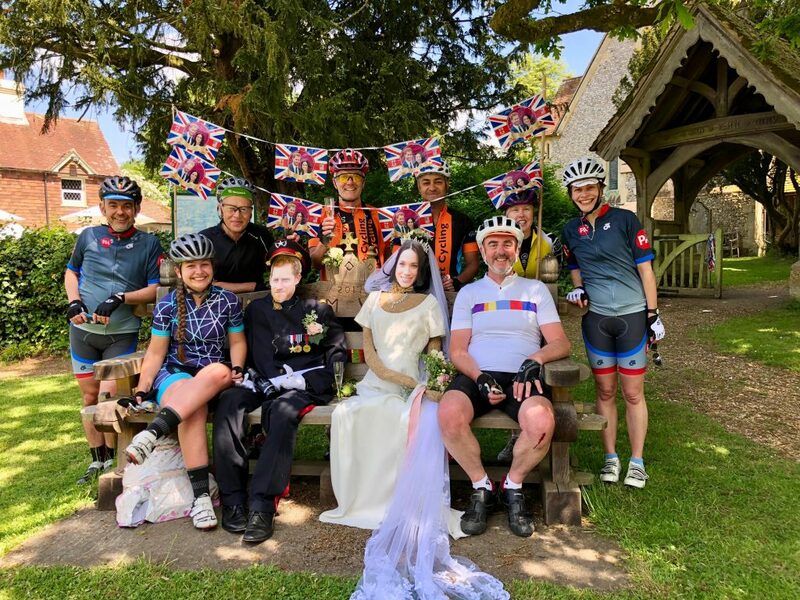 On the return leg we rode with cyclists from another event and came across the remains of a street party in Lasham village. 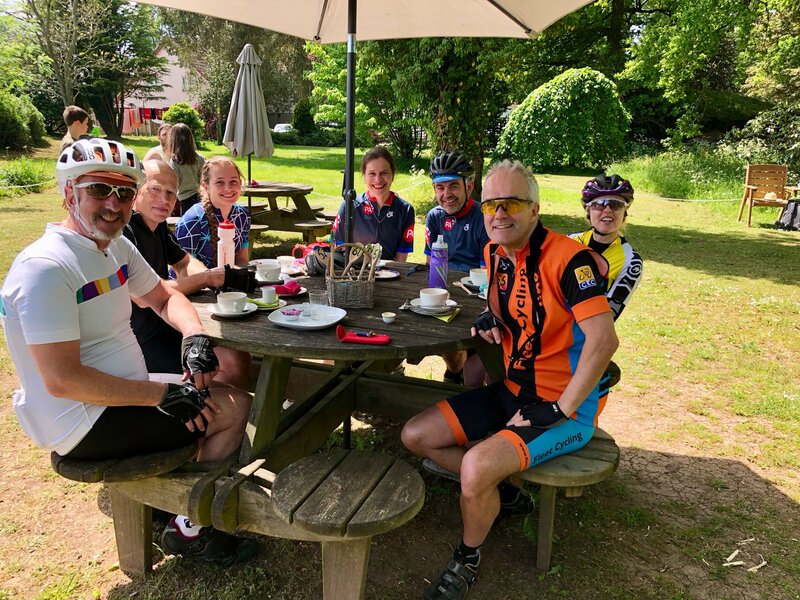 In the first image we are at Annie's and the second image shows us on our return leg in Monxton just before a steep climb.